Bluehorse Software is one of the best successful software development company located in Kolkata. We have a track record of delivering business projects on time and within budget. we have been helping companies achieve their goals with impactful, industry-specific software solutions. 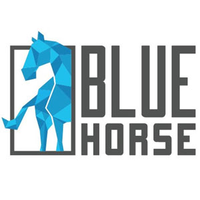 Bluehorse Software offers a wide range of software services including website and mobile applications development in PHP, Magento, Android, eCommerce for our clients. For more details please go to our website http://www.bluehorse.in We are masters at envisioning the end product for our clients. All clients are satisfied with the quality of our services and work.